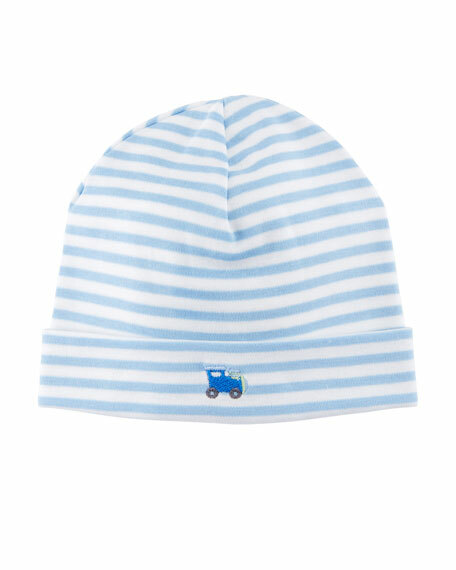 Kissy Kissy striped baby hat from the Little Railroad collection. Folded brim with train embroidery. For in-store inquiries, use sku #2537191.